I always knew that advocating for our children was one of the biggest responsibilities we have as parents. They rely solely on us for their survival and depend on us for the littlest things, as well as biggest things. The last 6 months of my parenting journey, I have realized more than ever the need to advocate, and sometimes fight, for our concerns regarding our children’s health. I want to start of by saying that yes – I am a Registered Nurse, and I am actively employed in health care in emergency medicine. I know and own that I am not perfect as a mom, a nurse, or a human being, and I do realize to err is human and that things will get missed, and mistakes are bound to happen. This post is about sharing my experiences as a parent advocating for my children’s health and well-being. In January of last year I took our boys to a family doctor to sort out breathing issues they’d both been struggling with for years. I was almost certain that Ethan needed his tonsils removed, as when they weren’t infected and he wasn’t sick they would almost completely block his airway. He also had sleep apnea which an at-home monitor also confirmed. 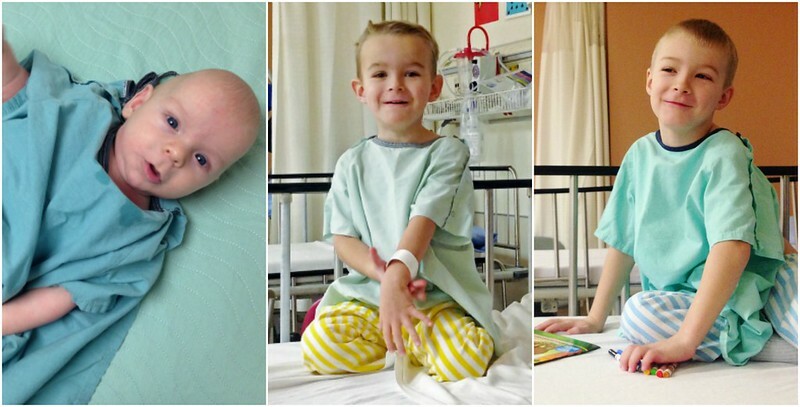 It took us 6 months to get in to see an ENT surgeon for Ethan’s consult, and 3 months later he was in the OR having a tonsillectomy and adenoidectomy. Braden has been a mouth-breather for many, many years and it had gotten progressively worse to the point where his speech is very nasally and congested-sounding. It took him a full year to get in to the same ENT surgeon, and with a simple examination using a camera inside Braden’s nose, it was confirmed that his adenoids were huge and needed to come out. Luckily, after all that waiting and an extra year of breathing problems, there was an OR cancellation and Braden had surgery within 2 weeks of seeing the surgeon. I do realize that this portion of our health care system is triaged much like in the emergency room, and had my children been more sick they would have been seen sooner, but it was still rough to see them struggle with the issues that they did have. 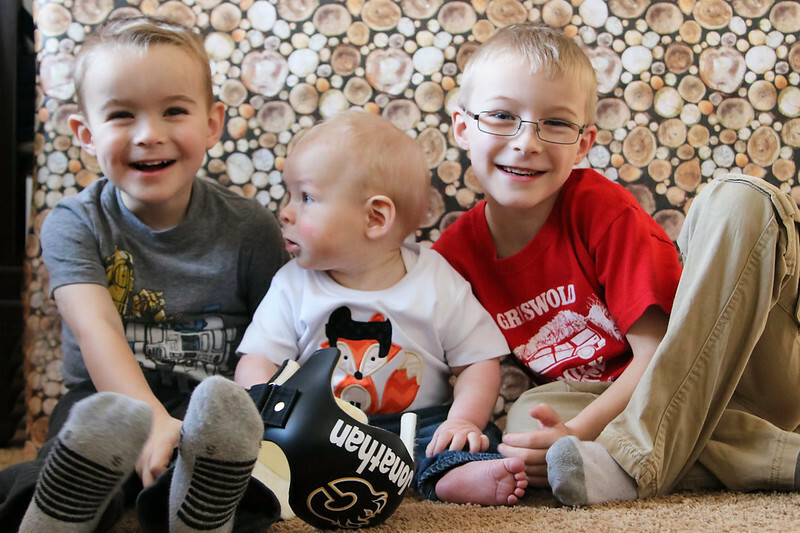 I have shared many times about our journey with Jonathan’s craniosynostosis. I knew from the moment he was born something was different, and probably not normal, with his head. The shape of his head looked fine to me, but the bony ridge on top of his head and absence of a soft spot shot up a red flag in my brain. 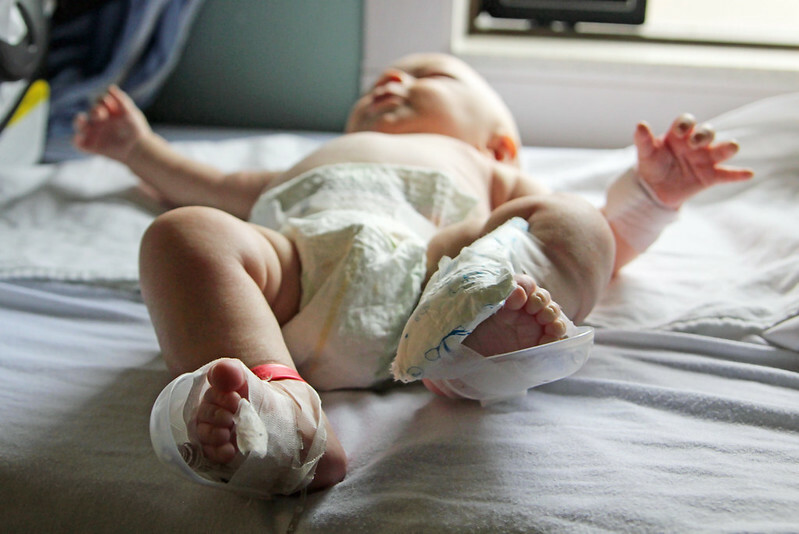 As a nurse, I have felt pangs of guilt that I should have known better and a simple 10 second Google search of newborn skull deformities (I hate that word), would have lead me to a diagnosis right then and there. But, I put my faith in my health care providers’ assurances to us that it was normal and he would be fine. My nurse brain justified the ridge and absence of his posterior fontanel from the trauma of a rather quick delivery and his skull bones overlapping and thus resulting in those issues and they would resolve with growth and time. 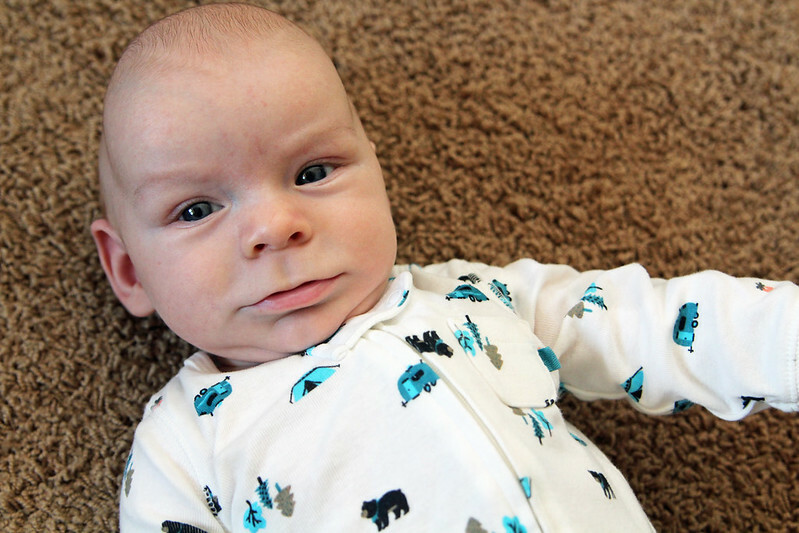 At our home visit from public health and at our 2- and 6-week post-partum doctor visits, I again brought up my concerns about his head, and was reassured that it was normal and he would be fine. I had my mommy hat on, not my nurse hat, and just wanted to believe that everything was fine with our baby. No one wants to hear or believe that there is ever anything wrong with their baby, so I cautiously accepted this reassurance. I went right to the people that should have been able to help me, when I did have an unofficial diagnosis for him when he turned 2 months old, and I was politely turned away and dismissed. I felt so defeated that a very specific sector of our health care system failed me. If I hadn’t had my own connections in health care, I’m almost certain Jonathan would have slipped through the cracks and been subjected to a much more invasive surgery. If you suspect that something is medically wrong with your child – push for answers. It is your job, and often your job alone, to advocate for your child. Push for that referral, that consultation, that test, that diagnosis. Yes, there will always be some parents on the extreme end of the spectrum that take it to the nth degree and want all the tests and run in for every little sniffle, but I’m talking about when you know in your gut that something might be wrong with your child. Don’t be scared to push for answers and seek second opinions; I know I would have felt awful had I sensed something was wrong with any of my boys and I just put it on the back burner and hoped I was wrong. I have to admit, for full disclosure, that past their 1 year birthdays, I have only taken our older boys to the doctor when something is wrong. I should have been taking them to their doctors for annual well-checks so that their growth is charted and they can be monitored for any health issues that I might not be aware of or miss myself. I am happy with a new doctor we have found and will be diligent about taking our children to him for yearly check ups and follow ups – I hadn’t even given anyone a chance to bring up my ongoing concerns with our older boys ENT issues. I have also taken proactive steps in spreading awareness of craniosynostosis. I reached out to all of our local newspapers last September for craniofacial awareness month to share information about craniosynostosis and Jonathan’s story. Just this month, I also wrote letters to appropriate departments in our health care system sharing what happened and pointing out the knowledge gap that needs to be filled, and encouraging these departments to do something about it. These letters and the interviews I did were not meant to be punitive and brash, rather educational so that health care professionals can have the awareness of what to look for in babies like Jonathan. Both of my nephews would not have been diagnosed with Celiac disease had their mom not had the intuition and insight to specifically ask for screening. I know so many moms in my life that have pursued answers for their kids health issues – don’t feel like you have to or should brush your concerns under the rug. In Canada, we are so blessed to have the health care that we do, I am a firm believer that if you have concerns about your child’s health – it should be brought up with the appropriate people and investigated. Keep calm and advocate on. Hello from a fellow farmer’s wife! There is so much I can relate to on this post. Many times I have had to advocate for my kids and for myself to push for more tests when my intuition has told me something is wrong . (I was nearly sent home from the ER with a ruptured appendix!) The bottom line–health care professionals don’t know us personally and do deal with a lot of people who take advantage of the system, so they are often trained to be skeptical. I do appreciate a doctor who values a mother’s intuition. Yes, and having worked in the ER for the last 8 years, I definitely know the balance of being skeptical, watching for people who cry wolf all the time and truly digging deeper to find a problem that needs to be solved! I wish we had some sort of across the board national healthcare for all U.S. citizens like Canada and Europe. Now with the new administration the ACA, Affordable Care Act (Obamacare), will be dismantled but there is as of yet nothing concrete to take it's place. I do have good health insurance at my place of employment but I know people who don't and who also have existing medical conditions and I hope something comes along that can help all these people. As to the point of your article, I do certainly agree that we need to be advocates for our own children. You did the best you could and then some! You have such a beautiful family.